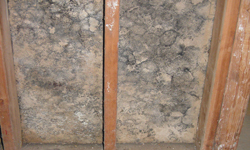 Mold and mold prevention are popular topics in today's society. National media attention has brought mold and the various health concerns associated with mold to the forefront of today's environmental contaminants. Redeemers Group has been protecting the health of our customers by providing mold prevention services in TN, MS and AR since 2008. Mold is everywhere.. 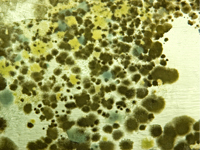 Mold is ubiquitous to our environment — therefore it is all around us in the air we breathe. Mold becomes an indoor air quality concern when there's more mold growing indoors than naturally occurring outside; or if the mold found indoors is different from the mold found outside. In either of these scenarios there is a potential for mold contamination and adverse health effects. Protect your family from serious health problems caused by indoor mold. Maintain home value and attractiveness by eliminating unsightly mold-stained materials. Avoid resale issues that arise when mold makes a house difficult or impossible to sell. Avoid unnecessary costs due to mold-damaged materials that must be repaired or replaced. Eliminate unpleasant odors that can make living spaces unpleasant or even unusable. Redeemers Group provides comprehensive mold prevention services to rectify mold contamination within your home or building in Little Rock, Memphis, Southaven, Cordova, North Little Rock, Germantown, Jonesboro, Collierville, Conway, Hot Springs and surrounding Tennessee, Mississippi and Arkansas areas. All work is performed by individuals certified in mold prevention following industry standards for isolation and prevention of contaminated building materials. Call us at 1-833-584-1049 or contact us online for a Free Estimate.